The Ram 1500 is a full-size pickup that's locked in an annual dogfight against crosstown rivals from Ford and General Motors. Like those other pickups, the Ram 1500 is offered with myriad configurations: multiple powertrains, body styles, trims, and bed lengths are available. This truck's main rivals include the Ford F-150, Chevrolet Silverado, and GMC Sierra. Outside the Detroit Three, the Toyota Tundra and Nissan Titan vie for the same buyers. The 2019 Ram 1500 earned a spot among The Car Connection's Best Car To Buy 2019 finalists. Ram unveiled its newest full-size pickup in January 2018. The 2019 Ram 1500 incorporated a bevy of technology and structural improvements including a 48-volt mild-hybrid system available on most powertrains. With the 1500, Ram brought a number of style changes to its best-selling truck. The crosshairs grille is gone, and the big-rig fenders have been tamed. The four-door crew cab models offer more interior space with an additional 4 inches of room added to the cab, mostly spent in rear seat leg room. Power under the hood comes from a 3.6-liter V-6 or 5.7-liter V-8 paired to the battery and electric motor system, which Ram calls eTorque. The combined output from the 3.6-liter engine and hybrid system is 305 horsepower and 269 pound-feet of torque. All V-6 models get the eTorque system, while V-8 versions can have the mild-hybrid components added as an option. Ram says the combined output from the V-8 is 395 hp and 410 lb-ft. A turbodiesel engine likely will return sometime in 2019. The truck is lighter than the outgoing model by 225 pounds thanks to lighter steel and aluminum components. Ram offers more advanced safety features on the 2019 1500 that include forward-collision warnings with automatic emergency braking, blind-spot monitors, adaptive cruise control, and active lane control. The configurations possible for the Ram are still dizzying: six trim levels are available, three cab sizes, two bed configurations, with rear- or four-wheel drive. Ram offers a 12-inch touchscreen for infotainment on top trim levels, which is the biggest in its class. For most of its life, the Ram 1500 was sold under the Dodge brand. The modern Ram debuted in 1994, when Chrysler took its stodgy, under-performing pickup and completely redesigned it with the look of a big-rig up front. The Ram immediately called attention to itself with the fresh design, as well as new features like rear-hinged club-cab doors on the innovative Quad Cab models. This rebirth brought the Ram into a solid third place behind trucks from Ford and GM, whereas before it had almost been forgotten. In 2002, Chrysler introduced a new Dodge Ram with Hemi V-8 engines and a somewhat diluted look, but much improved dynamics that gave it the best ride quality in the class and some of the best towing figures, too. However, the Ram's progress would nearly halt when Chrysler was first sold by its Daimler parent company to private equity, then plunged into bankruptcy in 2009 to be rescued by Italy's Fiat. The Ram brand emerged as Chrysler and Fiat wedded themselves together in the auto industry's newest mega-alliance. Pairing up in late 2009, Fiat and Chrysler divorced the Ram line from Dodge in the 2011 model year, christening the former Dodge Ram 1500 as the new Ram 1500, and updating it lightly with a new 6-speed automatic in the 2012 model year and with new trim packages, including a lavish Laramie Longhorn edition with piles of standard equipment and a plush leather interior—a rival for the GMC Denali trucks and Ford's King Ranch pickup. Ram also added an R/T 1500 with a more sporty look, and the pickup gained more available features, like a rearview camera, a USB port, and a navigation system. The Ram was redesigned in 2009 with a significant refresh in 2013. In this, its current form, it's almost a new truck underneath its lightly updated sheet metal, with a new ladder frame, new V-6 gas and turbodiesel engines, a new 8-speed automatic transmission, redone interiors, a newly optional air suspension, and additional connectivity and infotainment features. It's slightly lighter, which helps the base 305-horsepower, 3.6-liter V-6 earn some of the best gas-mileage ratings in the class—up to 17 mpg city, 25 highway with the standard 8-speed automatic, and 1 mpg higher on the city cycle when outfitted with the optional stop-start system. Some models also come with active grille shutters, which boost fuel economy by lowering drag when extra cooling isn't needed. The 5.7-liter Hemi V-8 is also available with the 8-speed automatic for an economy boost; lower-priced Hemi models still get the 6-speed auto but offer the 8-speed as an inexpensive option. A new air suspension is an option on almost all models, and it offers five ride positions for aerodynamics, off-road capability, or easier loading and unloading. Four-wheel drive is available on most Ram 1500s, either in part- or full-time flavor. Tow ratings are comparable to 2012 models, only minus one model that sported an 11,500-pound rating. For now, the maximum capacity stands at 10,450 pounds, while Ford and GM trucks can hit at least 11,000 pounds. All Ram 1500s also offer the RamBox, a storage system built into the truck bed and fenders; beginning with the 2013 model, a central locking switch in the cabin or on a mobile app locks and unlocks all the bins at once remotely instead of having to insert a key each time. The latest Ram also receives a rich-looking interior that incorporates a rotary-shift dial for the 8-speed automatic (other automatics keep a console or column shifter) and a big new spot for an LCD screen that displays a host of new connectivity features. The big screen shows off the optional navigation system, or information from Sirius TravelLink, including gas prices or weather reports, or output from the available rearview camera. 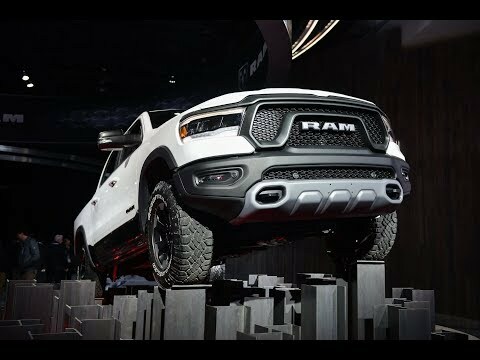 The Ram can be connected to the cloud via a 3G data link to the Sprint network, and via a mobile app, owners can start it via a smartphone, lock it or unlock it, run diagnostics, or simply enable a wireless hotspot around the vehicle. Among the more spendy options are a 7.0-inch configurable gauge cluster that replaces a conventional set of gauges with readouts for up to three functions at a time—towing info, radio station, or navigation directions, for example. The Ram comes with powered USB, SD card, and AUX-in ports, as well as full iPod control via USB, as well as expanded steering-wheel controls. Of course, the top of the lineup, the $48,000 Laramie Longhorn comes with all of this standard, as well as special walnut trim harvested from logs abraded by barbed wire, and prized for their distinctive burl. Safety has been a sore point compared to some of the other large pickups, but it's getting better. The Ram 1500 has a strong set of features, including a trailer-sway system, hill-start assist, and an available rearview camera system. The NHTSA has in the past given the Ram 1500 some low, three-star scores for side-impact protection, but the current version gets four stars overall, including a five-star rating for side-impact protection. Late in the 2014 model year, Ram's new 3.0-liter turbodiesel V-6 became available in the Ram 1500. As in the 2014 Grand Cherokee, the engine is called EcoDiesel and makes 240 hp and 420 lb-ft of torque. Fuel economy of 20 mpg city, 28 mpg highway makes this Ram the most fuel-efficient full-size truck currently on the market (we've even achieved more than 30 mpg highway), even beating the new aluminum-bodied F-150. The Ram accomplished the solid numbers on this and other models through the use of active grille shutters, which close off front openings when less cooling is needed for the sake of aerodynamic smoothness. Changes for the 2015 model year were relatively minor, although Ram used the 2015 North American International Auto Show to unveil a couple new options packages. 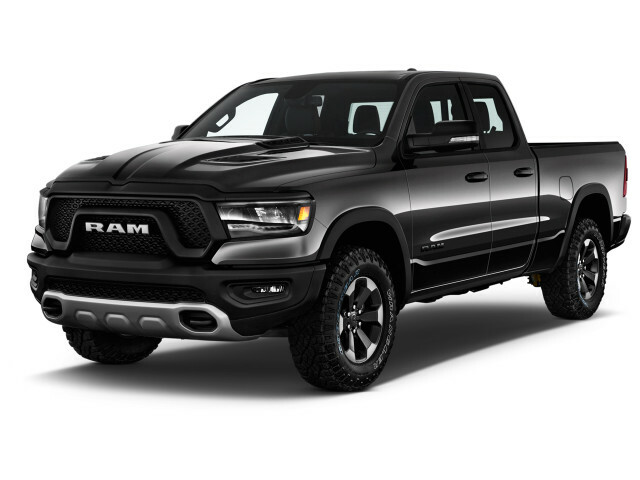 The Ram 1500 Rebel combines an in-your-face appearance—a unique grille and front fascia, body cladding, big-letter RAM tail gate, red interior trim—with some minor off-road-focused alterations, including a one-inch suspension lift and knobby tires. There's also a 2015 EcoDiesel HFE model, which is rated at 29 mpg highway thanks to a combination of the crew cab, rear-wheel drive, and a tonneau cover—this combo was available before, but didn't have the badges or separate fuel-economy rating, although it was just as efficient. For 2016, the top Laramie Limited trim gets a brightwork-intensive treatment that includes its own unique X-style grille and tall chrome letters on the tailgate. Inside, the Laramie Limited is the fanciest of the current Ram trims, with leather everywhere and lots of standard equipment. Ram also continues to add what it calls "buzz models" to the 1500 lineup, including two monochrome-look Sport models, the aptly named Orange Sport and Black Sport. The packages include different grille trim, blacked-out logos, and some interior dress-up and are available with the 5.7-liter Hemi V-8. A "Night" edition was added for 2017, and included a blacked-out grille and rear badges. Most of the lineup stayed the same from prior years, including powertrain options. In 2018, the Ram lineup added a new range-topping Tungsten trim level with more luxuries. Additionally, Apple CarPlay and Android Auto compatibility was added and the truckmaker has made a rearview camera standard equipment. Only had one week!All is well so far.Averaging 20 miles to the gallon!3.6 has good power.Will keep you posted!